[Indianapolis] — Thomas Medical has been awarded one of the Indy Chamber’s first GoGlobal grants, a new program in partnership with JPMorgan Chase to recognize and support the efforts of local employers to begin or expand exporting activity. To earn the competitive grant, Thomas Medical shared specific, practical plans to increase international sales over the next year. The grant announcement was made at the Indy Chamber’s 2016 World Trade Day, an annual event highlighting the impact of global trade and investment in the Indianapolis region. Exports and foreign investment support more than 100,000 local jobs, with Indianapolis companies selling nearly $15 billion in goods and services outside the U.S. last year. Thomas Medical will use the grant funds to participate in the annual meeting of the European Society of Human Reproduction and Embryology (ESHRE), July 3-6 in Helsinki, Finland. The GoGlobal Grant awards are part of the Indy Chamber’s Global Indy initiative, which exists to encourage the Indy metro’s companies to engage in global opportunities through export support and facilitating foreign direct investment activity. For more information about the GoGlobal Grant awards, visit IndyChamber.com/GoGlobalGrant. care area, coming from all over Brazil and Latn America. The U.S. Commercial Service will be offering Gold Key Services (GKS) to U.S.
Join IHIF and members of Indiana’s medical equipment sector on a trade mission to participate in the Zhejiang International Health Services Expoin Hangzhou, China, November 12-14 and participate in pre-arranged meetings with potential partners in the region. Exhibitors include: non-government investment to health services, PPP model medical facilities, commercial health insurance plans, elder-care, Traditional Chinese Medicine (TCM) healthcare, tourism,sports and culture related healthcare projects. Health information and products exhibition includes: all kinds of wearable health devices,telemedicine systems, portable medical equipment & supplies, and electronic medical devices, etc. Health services industry and health services pillar industry products exhibition includes: newly developed pharmaceuticals,medical equipment and devices, Zhejiang featured TCM products, healthy food, health sport accessories and elder-care products, etc. 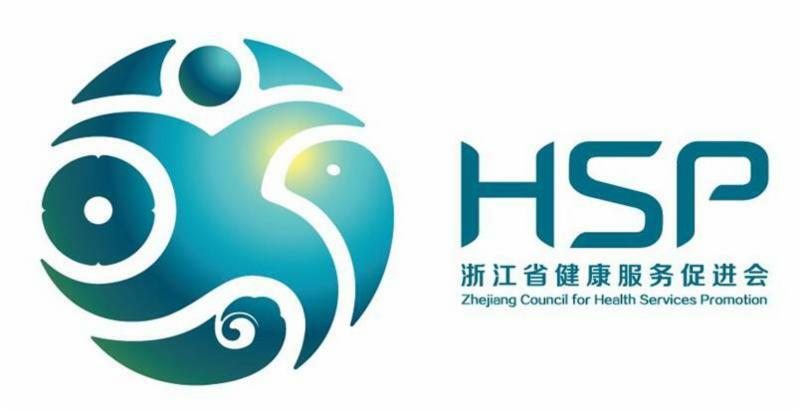 Through IHIF’s exclusive partnership with the Zhejiang Health Services Promotion Council (HSP), IHIF members will receive exhibition space in the IHIF booth, pre-arranged meetings with potential regional partners, and an opportunity to network with the 500+ members of the HSP. (Optional) Additional meetings may arranged Monday-Tuesday, November 16-17, through Pacific World Trade. Additional fees may apply. Please respond by October 5 – provide names of attendees and indicate whether you will be shipping products for display in the booth. Participants will need to have business cards and materials in Mandarin. IHIF/PWT can assist with translation and printing of brochures and cards (fees may apply). IHIF will be welcoming the second delegation of hospital administrators from Zhejiang Province in October. The visit was postponed due to some travel issues. Open to IHIF Members, this is an excellent opportunity to learn more about the current state of the Chinese healthcare system and to introduce your company to the heads of six large hospitals from the province. This group is interested in learning about new medical technologies and getting a better understanding of hospital administration practices in the U.S. IHIF Membership Applications are available at www.ihif.org. If you are interested in participating or have questions, please e-mail info@ihif.org. Location and time/date confirmation will be announced separately. Description: The US Commercial Service at the US Consulate in Sao Paulo Brazil will held a Webinar to discuss Health IT Market Trends and Opportunities in Brazil. Some of Brazil’s leading hospital executives will share their vision of the future of the health care sector and how health IT will transform the sector. Webinar attendees will also hear from leading thinkers about the state of the Brazilian health care sector. Description: The Health IT Business Development and Technology Mission aims to learn first-hand about Brazil’s emerging health IT market, policies and business opportunities; showcase your company’s technology to senior-level public and private health care officials and potential partners; access and network with Brazil’s health IT policy makers, thought leaders and entrepreneurs; and contribute to the development of a big emerging market. Approximately twenty innovative U.S. Health IT companies are expected to participate as mission delegates. As a partner of Health 2.0, the US Department of Commerce has arranged a discounted rate of $1,350 for attendees or groups (30% discount) using this code 13509F for Standard Admission. Please register here or contact us for more details. For Start-Ups: Start-ups get a special rate at Health 2.0 and starts-ups working with the US Department of Commerce can benefit from an deeper discounted rate of $799 using our code TRADE9F. All start-up registrations are monitored. Start-up registration. Description: Every year, the HIMSS Annual Conference & Exhibition showcases the newest technologies, trends, and solutions in health IT, but these three pillars of the Conference (Education, Exhibition, and Networking) remain the same. Exceptional education, world-class speakers, cutting-edge health IT products, and powerful networking are hallmarks of this industry-leading conference. More than 300 education programs feature keynotes, thought leader sessions, roundtable discussions and e-sessions, plus preconference symposia and workshops. Description: From 19 to 21 April 2016 manufacturers, users and representatives from the political and scientific communities find out about the latest industry developments, share information and learn from each other’s’ experiences at conhIT. The full range of Health IT is presented at conhIT. All trade visitors will intensify their business contacts and expand their knowledge. conhIT is the leading Health IT event in Europe. Representatives from the Zhejiang Health Services Promotion Council (HSP), IHIF’s partner organization in China, will be visiting Indiana in mid-July. IHIF is seeking companies with an interest in exploring potential relationships in China or businesses in the medical device and hospital equipment sectors that would like to meet with the delegation members. Mindray was founded in 1991 in Shenzhen, China, with a mission to deliver high-quality, competitively priced medical devices to make healthcare more accessible and affordable around the world. Over the last 17 years, we have become a leading developer, manufacturer and marketer of medical devices in China with a rapidly growing international presence. Today, Mindray North America manufactures products found throughout the hospital, and are largely focused in the areas of anesthesia, emergency medicine and critical care. Medical facilities that count on our products can be found in over 80 countries across the world.